The creation of a Business Improvement District in Blyth is set to be put to the vote in November. In Blyth, the town-centre area proposed includes around 494 eligible properties and it is suggested that there will be a compulsory levy of 1.5 per cent of the rateable value, although there would be an exemption for those businesses with a rateable value of less than £3,000. This would bring in around £136,000 in the first year and a total of £684,000 over the five-year lifespan of the BID. Taking into account running costs, this would mean around £90,000 to £100,000 a year to spend on projects. About 87 per cent of the businesses in the proposed Blyth BID area would end up paying less than £1 a day. Blyth Development Trust kick-started the process in the town, setting up a steering group in September last year. This was followed by extensive consultation with businesses to help develop the proposals for the BID and its goals for Blyth town centre. The draft business plan is focused on four key areas: Enterprising and Dynamic; Bright and Appealing; Marketing and Promoting; Safe and Welcoming. These will be fully detailed in the final documents which are being drawn up over the coming weeks. BIDs have not been particularly successful in Northumberland so far. 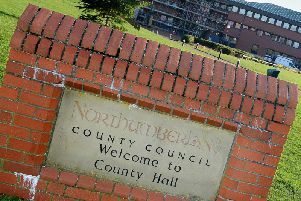 A Morpeth BID was rejected at the vote in April, while the Hexham BID, which proved very controversial and divisive, was terminated as of Monday, September 10. Chris Kolek, of Kolek Consulting, who has been working on the Blyth BID, made a presentation at last Wednesday’s meeting of the Ashington and Blyth Local Area Council. Asked about the collapse of the Hexham BID, he said that there are more than 300 BIDs in operation around the country, so it’s quite common, but it’s up to the businesses to decide. He added that there were specific issues which are not considered good practice in the case of Hexham, such as designating the whole town as the BID area and introducing a flat-rate levy rather than a percentage of rateable value.